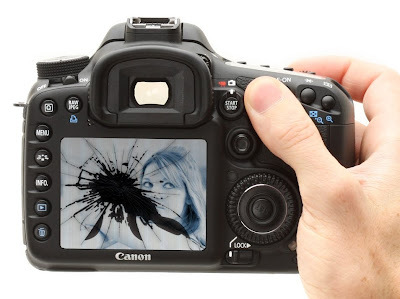 JPH Photography: Insuring your gear - Have you even considered it? If the unthinkable should happen are you covered? This is a topic that isn't addressed very often but is quite important. How much gear do you own? Could you afford to replace any or all of it if it got damaged/lost/stolen/vandalized? Most likely the answer is no, at least not at the drop of a hat anyway. You have to insure your car if you want to drive and if you want a mortgage you have to have house insurance, plus both of those are big ticket items. Your camera gear, if it's valuable, should be treated the same way especially if you're using it to make money. First things first I just need to say that I'm basing the information in this article off of my own experiences, costs and policies may differ depending on which company you deal with and where you live. After I picked up my 5DMKII I realized I really needed to look into insurance, I was starting to carry around over $8000+ worth of gear to a photoshoot and it was making me nervous. A quick call to my insurance provider and I had all the info I needed. Since I only do photography on the side and use the money mainly for funding my addiction hobby I qualified for a "semi-professional" rate provided I didn't earn more than $5000 per year. The insurance company referred to this as "scheduling items". All I had to do was draw up a list of equipment I wanted to insure, note the replacement value and serial numbers, then submit it to the broker. My rate was $3.50 per $100 worth of gear I was insuring per year. So to insure $10,000 worth of equipment costs $350 per year or roughly $30/month. If you are making money doing photography then you should already be claiming that income as a small business on your taxes and this insurance is considered a business expense which can be written off. Also worth noting is that if you schedule items they are not subject to a deductible, you simply make the claim and get reimbursed. To my knowledge just about everything is covered, say if I'm up in the mountains taking photos and I lose my footing and drop my camera over a cliff I'm safe. There are probably some limits to this but when I ran down the list of most likely scenarios they were all covered. So what happens if you fall outside of the semi-professional range? If you're an amateur photographer who doesn't make any money off of photography should you still insure it? That's up to you, if you have regular house insurance it should cover items like this however you will have to pay a deductible which may exceed the cost of replacing or fixing the piece of gear. $3.50/$100 is pretty cheap, $5 a month will cover $1700 worth of gear. If you think about it you may want to say no to that extended in-store warranty next time and just buy insurance instead. What if you rent and don't have house insurance? Get renters insurance. Period. Its that simple. I've known a few people who have lost everything in fires that weren't even started in their apartment (it was a duplex) but since they had no insurance they were left with nothing. From what I've heard renter's insurance is quite a bit cheaper than house insurance since you're only insuring your belongings and not the structure you live in (your landlord should have insurance for that). That pretty much sums up all the info I have to give on this subject, hopefully it sheds some light on a topic that I haven't seen covered much. When I enquired I wasn't even given the semi-pro option, the rates were far higher and the coverage seemed to cover only the things I was least concerned in happening. I decided that any remuneration I would receive would be in gift card form from that point on. The insurance broker quietly told me that in doing so I would not be crossing the line between amateur and pro for claim purposes. Currently, my gear value is just below the house insurance maximum. Yes, there would be a deductible if anything happened, but at the moment I'm comfortable with the state of things. I guess it all depends on your insurance company. As far as gift cards as payment legally its the same as cash, if you are being compensated for your time you are a business. Just out of curiosity who is your insurance through? I hope its not SGI lol, they are the worst.